The British Association of Plastic, Reconstructive and Aesthetic Surgeons (Bapras) has won its bid to host the 12th European Plastic Surgery Congress in Edinburgh. Congrex UK and the Edinburgh Convention Bureau assisted Bapras with its bid. The congress will be held in 2014 and is anticipated to attract 1,000 delegates. 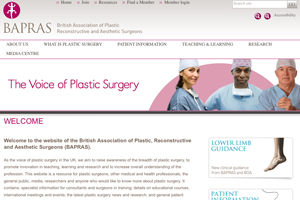 It will be the first time an international congress on plastic surgery has been held in the UK since 1959. The bid team emphasised Edinburgh's accessible and historical offering, its unique venues, and the Edinburgh International Conference Centre's state-of-the-art facilities when it pitched to host the congress. Bapras and Congrex UK have local organising committee to manage the 2014 congress. Congrex UK account manager Krystina Snaith said: "This is a prestigious congress to organise and we are delighted to work with the association and the Edinburgh city partners from the outset, through the bidding process and to what we very much hope will be a highly successful event that will attract a record attendance."